Increase the value and appearance of your home by replacing your tired, rotten windows and doors with stylish new timber or aluminium products to fit both your lifestyle and your budget. We supply and fully install custom made window and door solutions to match your individual requirements, as well as offer professional advice and guidance so you can get the best product choice for your job. Whether you’re renovating or rejuvenating your residential or commercial property we can help you! No job is too small or too hard. 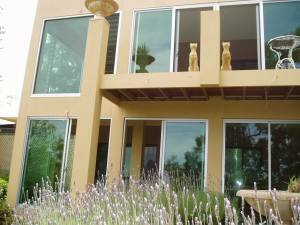 We specialize in custom-fit, energy efficient windows and doors in any size and shape. So whether you have a simple window replacement project or you require specifically designed windows and doors to complement your alterations or to suit the character of your home then you’ve arrived at the right place. What ever your reasons are for looking to replace your windows and doors we have the expertise to make it happen! Don’t waste your time looking any further, as licensed builders with over 30 years experience in the industry, we can assist you with any structural changes and alterations so there is no need to hire or coordinate additional contractors when you hire us. We are truly your one-stop window replacement specialists. You can have peace of mind that Window Replacements have your door and window replacement project covered. Don’t wonder any longer what your window or door replacement project will cost you… Call Us Today so we can work with you in finding a surprisingly affordable and fast solution. P.S. There is no obligation on your behalf when you receive a quote from us, so go ahead and call Joe now on 0411 709 278.